After a superb couple of hours at Mouth Mill beach the walk home through the conifer plantation was equally as good. 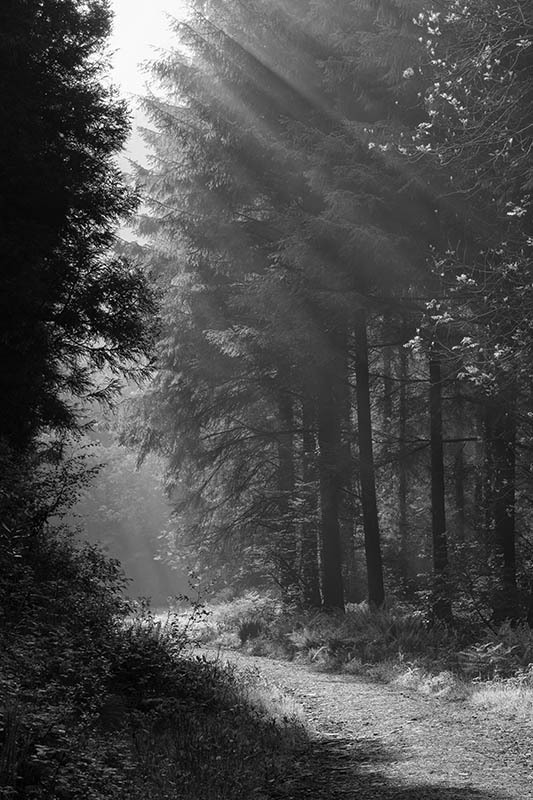 The early morning sun coming through the cloud and with a slight mist in the air shafts of light appear against the dark form of the conifers and sunlight shines off the stony track. Snaxland Wood. Brownsham. North Devon. May 2016. Location: Snaxland Wood. Brownsham. North Devon.